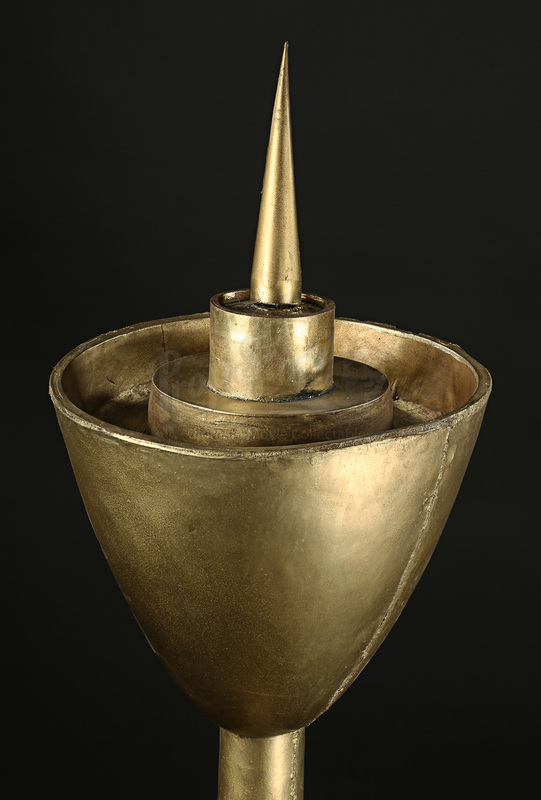 A large prop candlestick holder used in the production of tongue-in-cheek action-adventure Kingsman: The Secret Service. Taken from a life of booze and petty crime, former Marine Gary “Eggsy” Unwin (Taron Egerton) is trained by secret agent Harry Hart (Colin Firth) in the ways of the gentleman spy to join the secretive Kingsmen intelligence organisation. 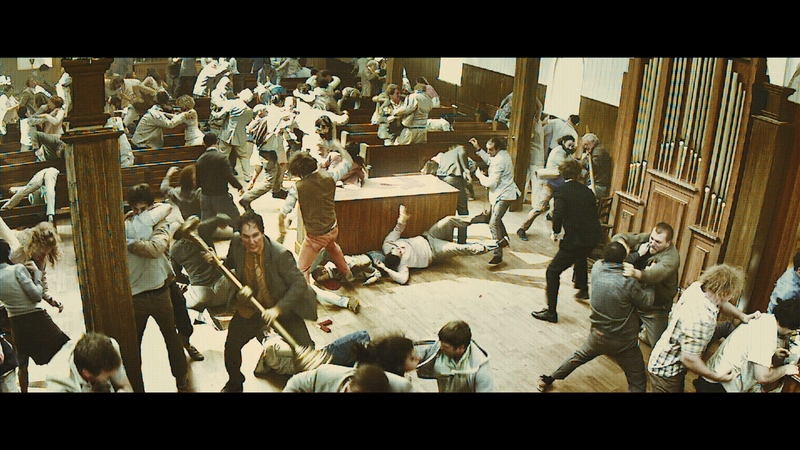 This weapon and others like it were used during the scenes where Harry fights during the church brawl. Made from soft rubber with an inner metal armature for strength and rigidity, the candlestick was designed for performer safety during the chaotic sequence. It has been painted faux gold to resemble a floor-standing candlestick holder with a tapered two-piece central column, wide flat-bottomed base and a spiked cupola-style top. 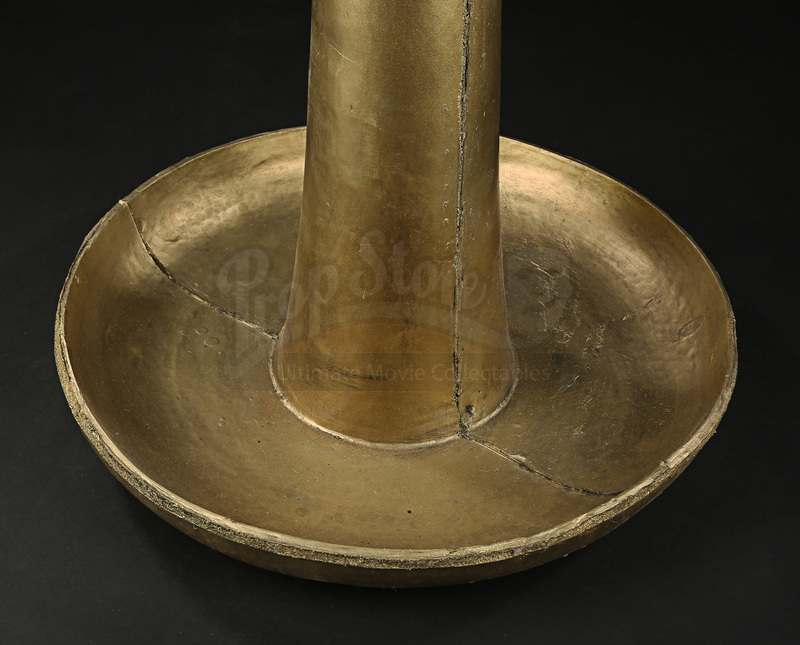 Well-used during production, the candlestick shows some signs of wear including some slight deformation to the spike. However, it remains in good overall condition. Please note: As this item is oversized it will require a specialist shipping service with additional costs. Please contact us prior to purchasing to request a quote.